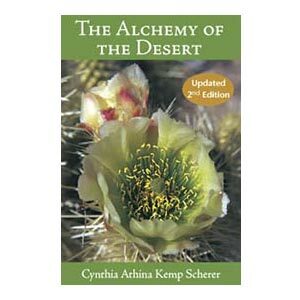 Our classic second edition in print format is the reference book for Desert Alchemy flower essences. It contains a complete description of 119 individual flower essences and 47 composite formulas. It includes a cross reference section for easily accessing different states of being and the essences that support or harmonize same. The Alchemy of the Desert is an intimate look at the healing power of flowers from the Arizona Deserts. The great work of the alchemists was to find the way to transform things of lesser value into precious assets, “lead into gold.” The modern alchemist can use the help of nature to turn problems into opportunities, trauma into experience, handicaps into assets. Safe, effective, and with lasting effects, flower essences are a powerful support for modern healing. Desert flower essences are now being used professionally in more than twenty countries by doctors, psychologists and natural healing practitioners. This book is for those who love nature. It is an invaluable guide for professional therapists and self-help enthusiasts on the journey of healing and self-awareness.